It was our traditional birthday lunch treat with Yummy team and as I mentioned it before, the group surely has the nose and the right taste for good food! Lunch was at Mr. Jones. Since it was my first time to visit this and it has been part of my restaurants-to-visit list for quite a while now, I was really so excited to try that much-talked about Beef Tapa, the Truffled Mac and Cheese and a lot more! My excitement grew as the team began talking about what they will be ordering for lunch and looks like majority was really eyeing on the Tapa. 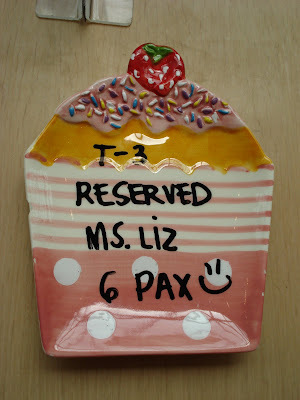 We were told that the place can easily be filled up in minutes so for extra safety measures, Liz made reservations to secure us a table. 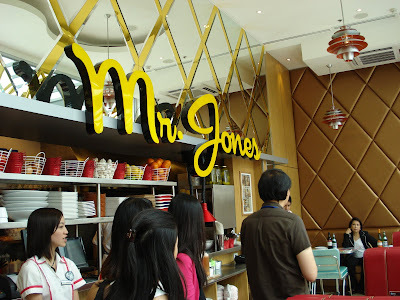 Mr. Jones' ambiance is like a modern American diner complete with a mini jukebox by the corner, servers in crisp white with red stripes tops and a menu that will make you go WOW! I have been craving for truffles ever since that lovely dinner at M Cafe and after tasting that delicious Porcini & Truffle Gnocchi. After getting raves from those who has dined at Mr. Jones, I chose the Wicked Truffled Mac and Cheese (Php. 375). It's definitely not your ordinary Mac and Cheese. 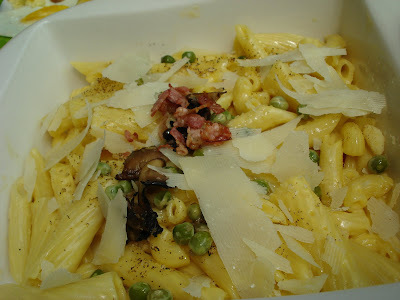 It has 3 types of Macaroni, 4 types of Cheeses, "Canadian Style" Double Smoked Bacon, Baby Portobello Mushrooms, a handful of Green Peas and drizzled with Truffle Oil. So I may not be a green peas fan but that's ok, I have successfully plucked out the green peas from each spoonful of macaroni. On the first bite, I felt that the truffle flavor was a bit weak. I had to dig further down where I guess the oil has settled and the flavor was stronger. For some of the dishes, the Mr Jones kitchen staff uses a blow torch to lightly toast the top layer, however we felt that they might have gone overboard with the torching and some macaroni had that bitter burnt taste that somehow didn't go so well with the entire dish. What I love though were the Baby Portobello Mushrooms. It has a strong salty taste that perfectly complemented the cheezy macaroni. It's amazing that I truly fell in love with Beef Tapa, which are beef strips marinated in soy sauce, vinegar and garlic and pan-fried until tender . I've mentioned a dozen times before that I consider myself a breakfast person and that I love taking breakfast meals at any given time of the day. 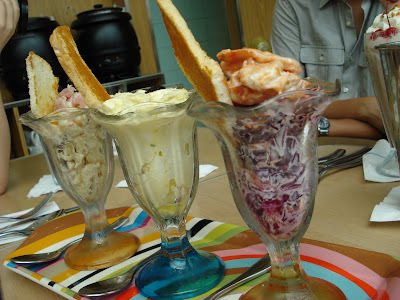 However, my top choices include hotdogs, sausages and the all-Filipino garlic rice with fluffy scrambled eggs. Rarely do I choose beef tapa but I guess that will change after today -- the day I tried Mr. Jones' U.S. 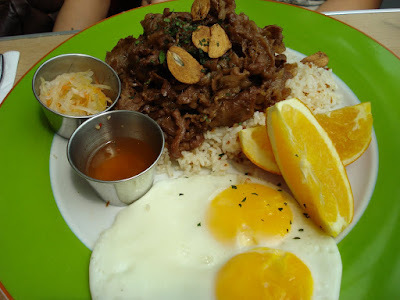 Beef Ribcap Tapa & Garlic Overload (Php. 295)! 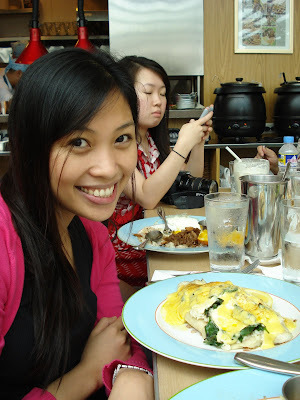 Since we decided to share our orders with one another, I was also able to try Elaine's Melted "Old Bay" Crab and Dory Thermidor (Php. 375). This is actually a perfect dish this Lenten season as this delicious crab + fish creation has a very creamy texture because of the Hollandaise and Mornay Sauce. I also liked the herb rice pilaf that came with it. This is really good for sharing as it can get filling after a couple of bites. I can't wait to go back and share the U.S. Beef Ribcap Tapa and Garlic Overload with Paul!